A decadent end to any meal is a light and refreshing dessert and this was a perfect end to ours. This summer dessert is great for big kids! It’s very quick to do with very little work and a very rewarding payout at the end. 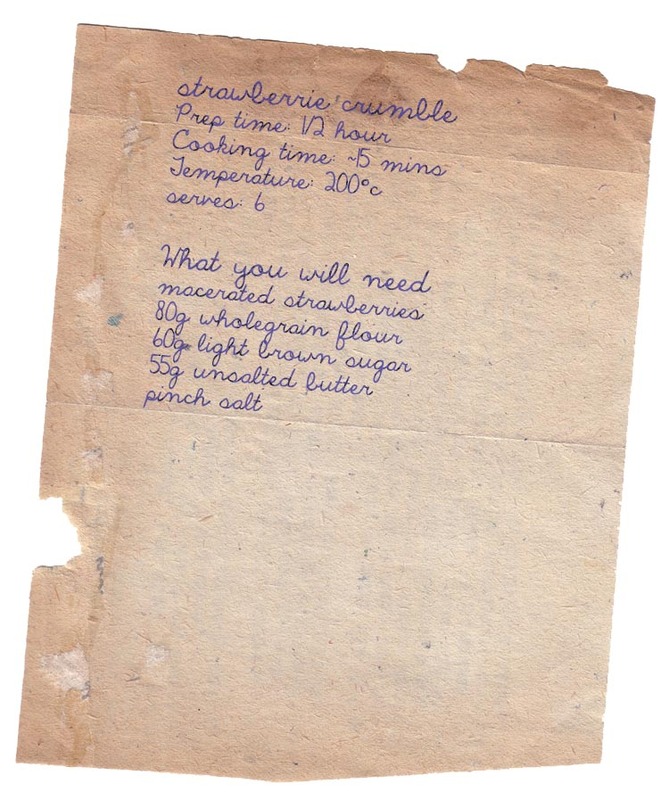 make macerated strawberries which you can find in my other posts. 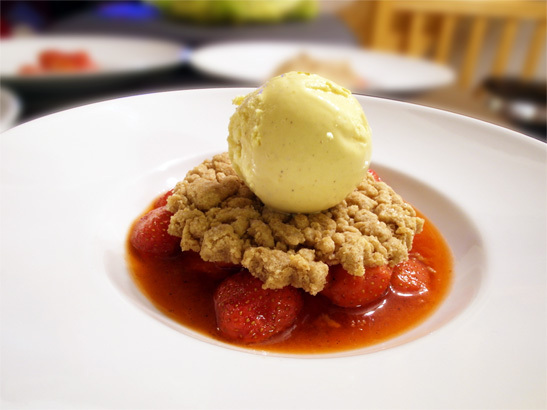 This entry was posted in dessert, Food, Fruit, Photography, Recipe, sweet and tagged butter, crumble, strawberries, summer, sweet, vodka by tomcosserat. Bookmark the permalink.